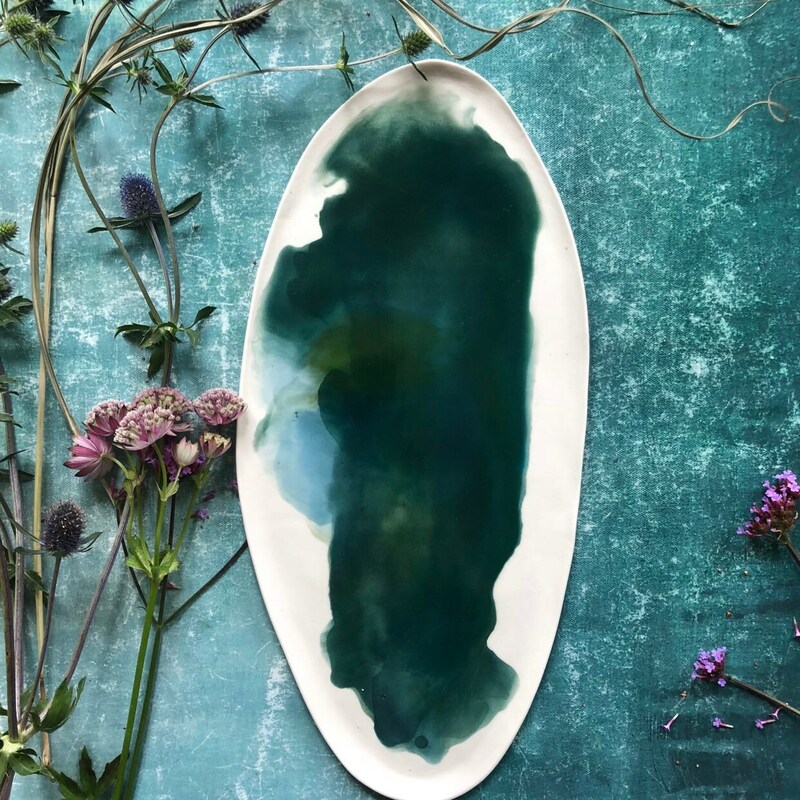 Beautiful and unique porcelain platter with flowing colors. Truly one of a kind! Organic in form and handmade. Can have small imperfections due to it’s handmade nature. Please note that colors can vary from monitor to monitor.